One day after announcing founder Bryan Wiener had stepped down as its chairman to become CEO of digital audience measurement firm comScore, 360i announced a restructuring of its senior management team -- moving another founder, Sarah Hofstetter to the chairman’s role and naming long-time heir designate Jared Belsky as the CEO who will lead the agency into its next act. The timing of the two announcements was coincidental, say executives familiar with the moves, but are part of a longer-term succession plan to groom the next generation of management at 360i. 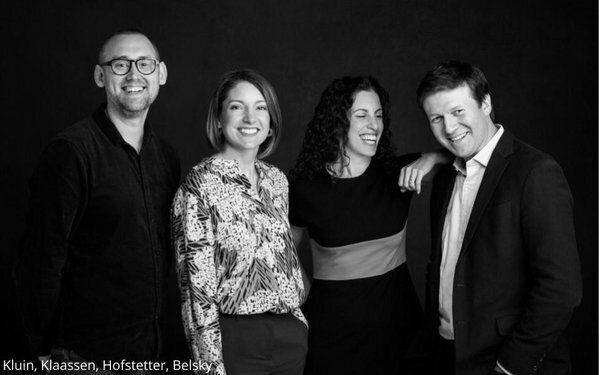 They follow Abbey Klaassen’s ascent to president of the New York office from a short run as the agency’s CMO, and together, Hofstetter, Belsky, Klaassen and 360i Chief Creative Officer Menno Kluin comprise the burgeoning agency network’s new leadership team. The timing has nothing to do with earn-outs that followed the sale of independent 360i to Dentsu in 2010, which were completed in 2012, and is the culmination of a well thought process of grooming a new generation of talent to lead the agency, which has emerged as more than a digital centerpiece inside Dentsu’s organization, but a full-service network, including best-in-class media services. Belsky, who joined 360i in 2008 as managing director of the Atlanta office, was named 360i’s president in 2013. Klaassen joined 360i in 2015 after a brief stint at parent Dentsu Aegis Nework as director of corporate strategy development for the Americas. Prior to that, she was editor of Advertising Age. Hoffstetter, meanwhile, will shift from day-to-day operations of the agency she helped nurture to focusing on working with clients, new business development, public speaking and representing the agency in the community. 1 comment about "360i Rotates Management Team, Taps Belsky As New CEO". Jamie McCann from Mr., April 25, 2018 at 9:55 a.m. Losing someone of Bryan's stature is a tough blow to any organization. But, kudos to 360i for having such bench-strength/bandwidth with Sarah and Jared to turn this potential lemon into lemonade quite nicely. Here's to continuing our partnership for years to come.